Kitchen organizing is something I’m passionate about because when the kitchen is neat and organized, we cook at home more often. 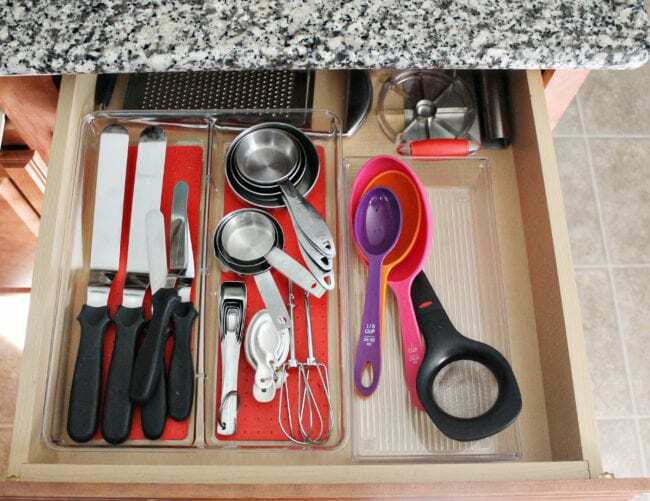 Nicole realized that a big key to her kitchen organization was creating functional zones. She’s here to show us how it works! 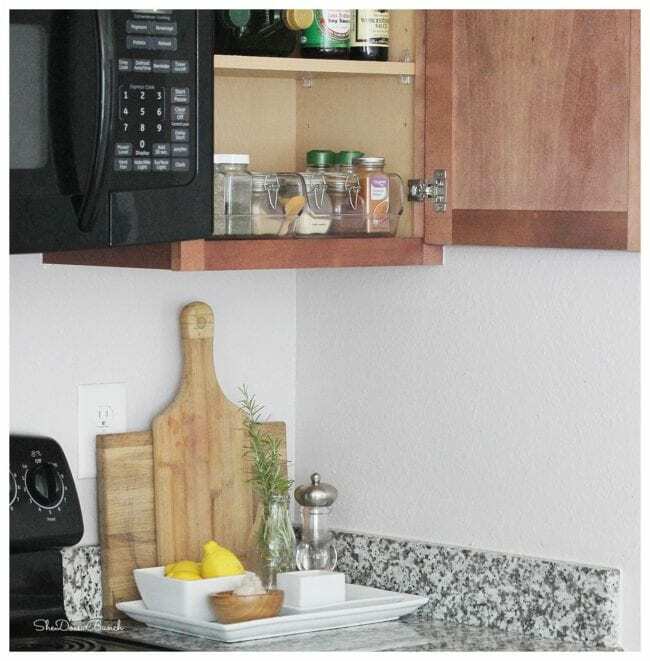 If you are anything like me, I am always looking for ways to make my home more functional. Sometimes different seasons in life call for us to change our everyday systems that we use in our homes. For many of you (myself included) our kitchens are the hearts of our homes and the room the family spends the most time in. When we move into a new home, we tend to unpack and place things in cabinets and drawers that seem to make the most sense. And then for many of us, they stay there forever! But, after you’ve used a kitchen for awhile, you have a true feel of how you use each counter and some re-arranging could be in order. 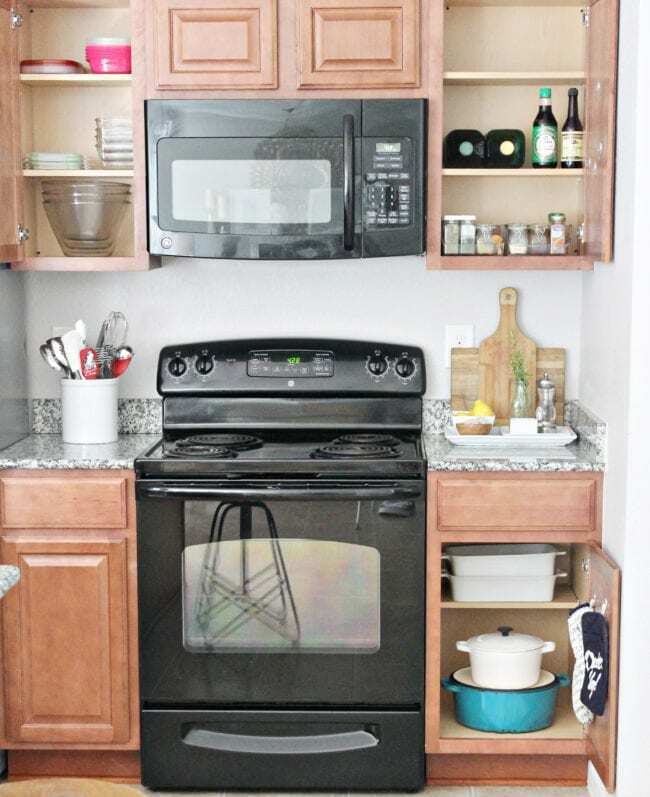 Melissa showed this kitchen re-arranging process in her house and says she wishes she would have done it sooner! When I was ready to tackle my kitchen, I realized there are distinct zones I should use to guide me. Here is what I have in each zone and how I go about organizing them. To say that I love that we have an island in our kitchen area is an understatement. . Everything that I use to prepare meals or bake is in this space. 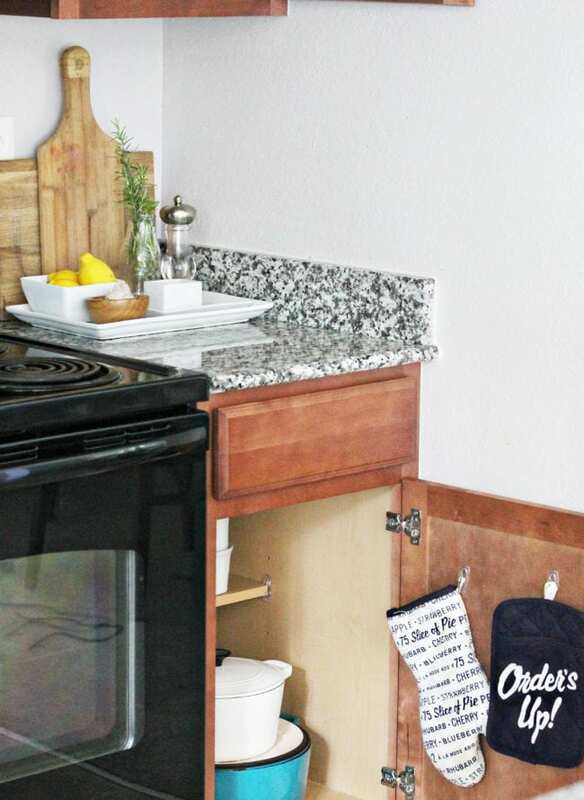 We have 2 drawers and cabinet space in this island. I used to keep all my baking utensils (aside from my bakeware, which I keep in the pantry) and mixing bowls somewhere else in the kitchen. I noticed that we always find our way back prepping at the island. Moving them made every meal easier! I love the way I have this zone setup. If I’m cooking something on the stove, everything I need to grab for cooking is within hands reach. Everything we need to pack up leftovers lives in this area. We do have a small pantry for the actual food, and you can see how it is organized here. I keep the storage area on the other side of the oven. When we are putting food away or meal prepping, all the containers we need are close by. 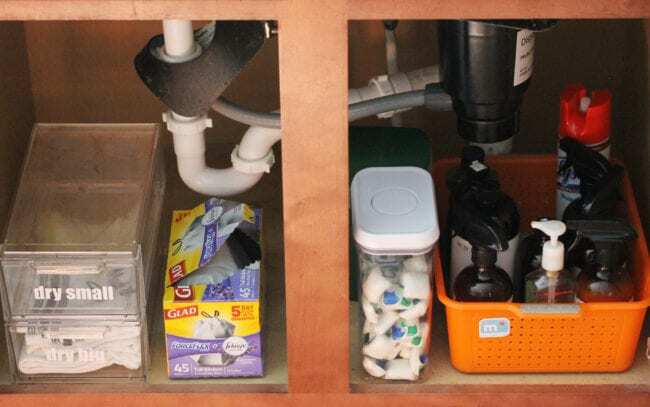 I am able to easy access anything I need to clean with right under the sink. If you have something pretty, yet functional to keep it in, by all means use it! Be sure that you stick a label on it, so that the family can know where to put things after they use them. 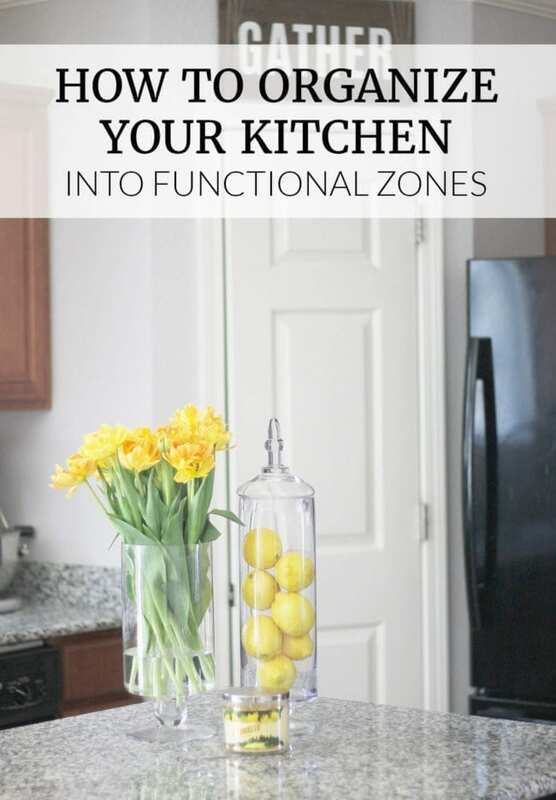 Intentionally organizing our kitchen into zones has not only helped our lives become a little less hectic, but has also allowed me to be able to focus more on the times we spend in that kitchen as a family. I hope organizing your space with your family in mind does the same for you. I love this! You actually went, where few others dare to go…. the INSIDE of the cabinets! Your tips are very helpful and practical.